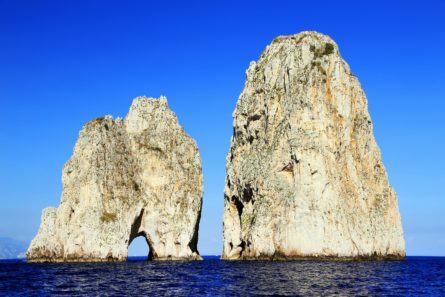 Experience the very best of Capri during this private Capri tour. A choice getaway destination since ancient Roman times, your private English-speaking guide will lead you on a 3-hour exploration of the island custom designed according to your interests and priorities. Capri will charm you with its colorful harbors, distinct coastline, Imperial Roman villas and hilltop views over the sea. Take the chairlift up Monte Solaro for an incomparable view, explore dreamy Villa San Michele, visit the village of Anacapri or stroll down the elegant via Camerelle. Upon request we can also arrange for private transportation around the island using one of the signature, brightly painted stretch taxis, the specially modified six-seat Fiat convertibles are a beloved icon of the island. Tour the archeological sites of Herculaneum and Pompeii. During your Pompeii tour, discover the daily life of ancient Romans in this unique site.